With ~20 years of work experience as a business and finance professional as also a product specialist across equity, financing and markets space, both as a banker to large corporates as also as an issuer / corporate, Harjeet serves as the CFO of Bharti Enterprises and sponsors the business partnership for all Group businesses, across Real Estate, Insurance, FMCG, Tech & Distribution and other companies. Harjeet leads the corporate finance function for Airtel & Bharti Group, for all capital structure & equity raising, currency and interest risk management, investments management, and stakeholders’ management – across ratings, debt & equity investors, on a global basis. 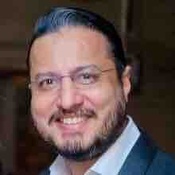 Harjeet serves as a Director on the boards of Bharti Enterprises Limited, Bharti AXA Life Insurance Company Limited, Bharti AXA General Insurance Company Limited, Bharti Realty Limited, Comviva Technologies Limited, Beetel Teletech Limited, Centum Learning Limited, Centum Workskills India Limited, amongst others. Over the last 8 years, Harjeet has worked on several strategic projects for Bharti group, across expansion, acquisitions, divestitures, IPO, QIP, Secondary sales, Capital market debt, and rights – both at/for the listed companies (Airtel / Infratel) as well as for the group private companies. Under his leadership, Bharti Airtel, has won many of the coveted awards across Adam Smith, Finance Asia, ASSET, Treasury Today, Eurofinance, Business World and others. Prior to joining Bharti group, he had 12 years of corporate & investment banking experience at Citigroup, across business build-outs (SME), product structuring, sales, capital markets, market management. Having played a Trusted Advisor to clients across their organic as well as strategic needs, Harjeet carries strong Strategic & Finance experience across the capital structure with deal list across debt, equity, hybrids in the private and public space.